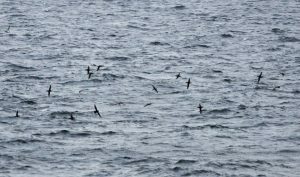 Sound of Jura: From the Islay ferry today – 350 Manx Shearwaters, 420 Kittiwakes inc 370 on An Dubh Sgeir, Gigha, 1 Great Skua, 1 Arctic Skua. 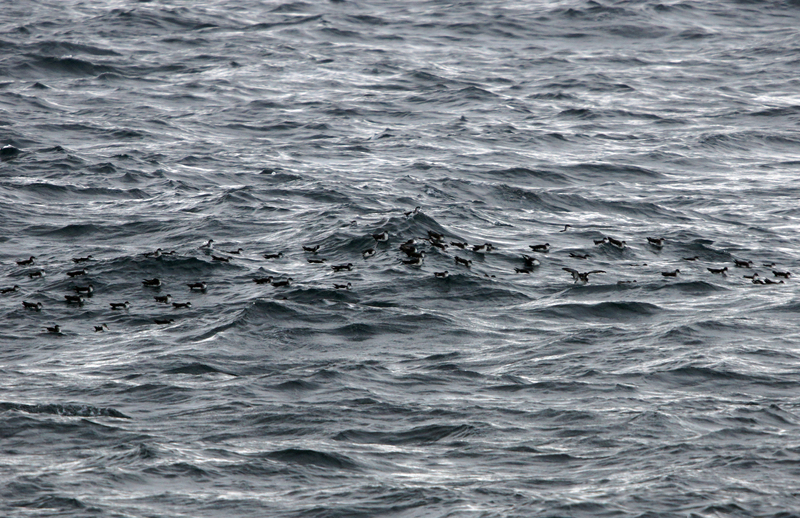 Only a few Common Guillemots – some flying and 20+ Razorbill. 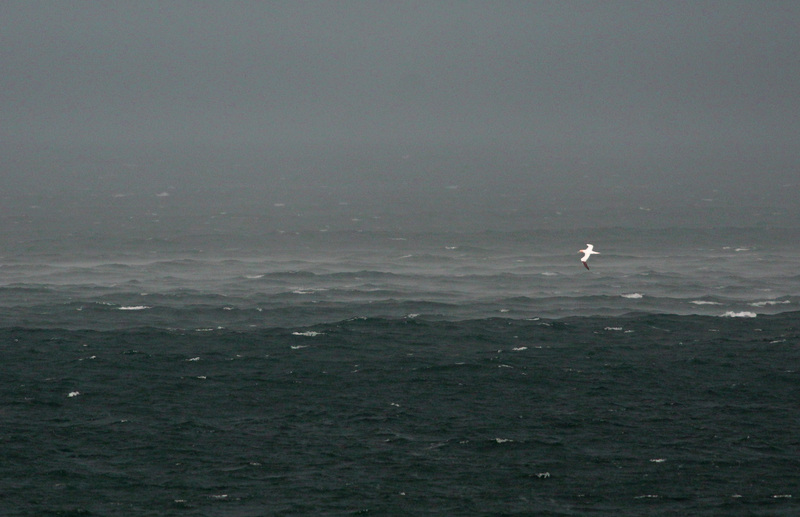 5 Sandwich Terns in West Loch Tarbet (Jim Dickson). 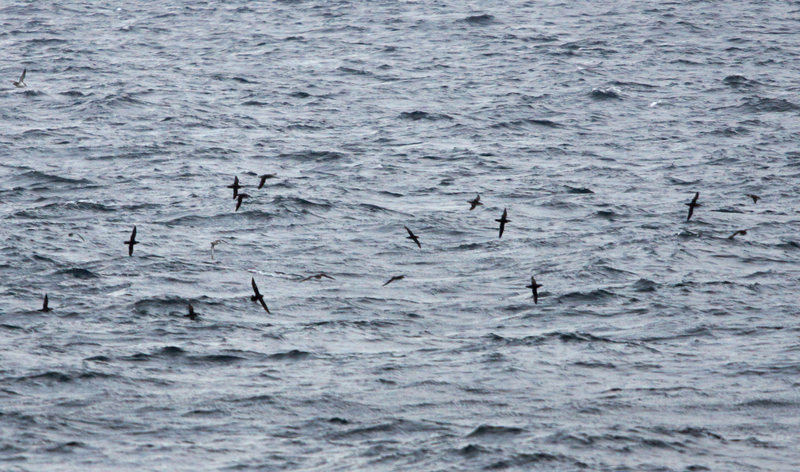 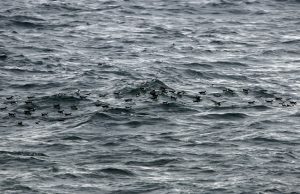 MANX SHEARWATERS – Sound of Jura 24th Aug (Jim Dickson). 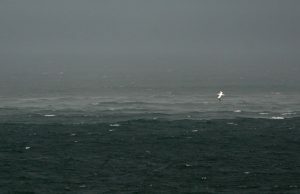 GANNET & squall – Sound of Jura 24th Aug (Jim Dickson).